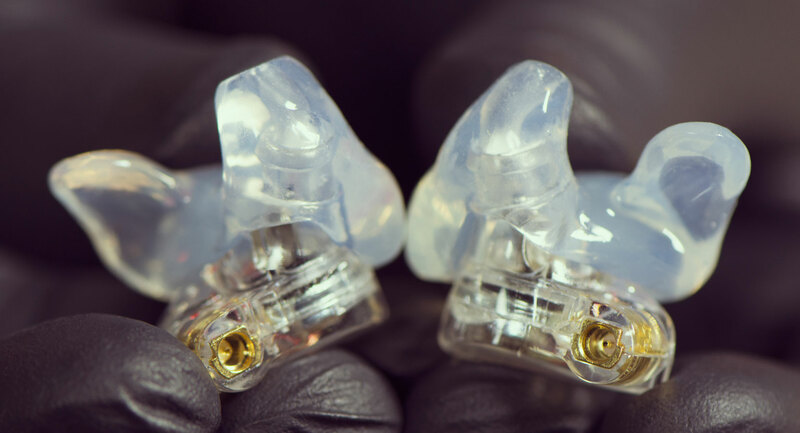 Elevate the performance of your in-ear monitors with our custom-fit silicone eartips, built to the exact shape and size of your ears using state-of-the-art 3D scanning and printing technology. Please allow 3-4 weeks for the manufacture of custom-fit products. 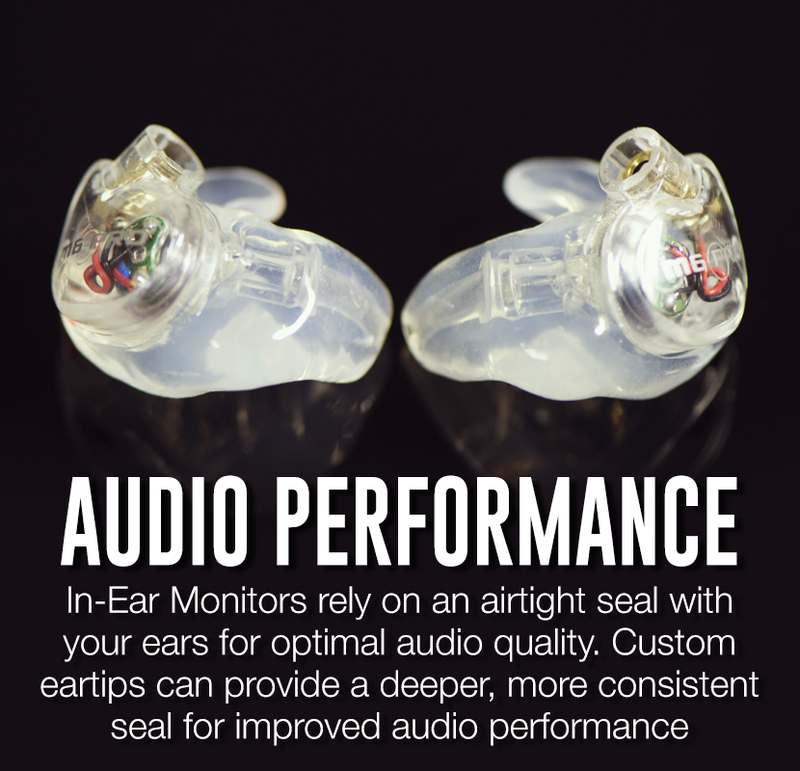 Whether you struggle with standard earphone fitment or are just looking for better comfort, retention, and noise isolation, custom eartips can improve your IEM experience. Because our custom eartips are made to fit perfectly both in your ears and on your earphones, they must be tailored to your specific earphone model. 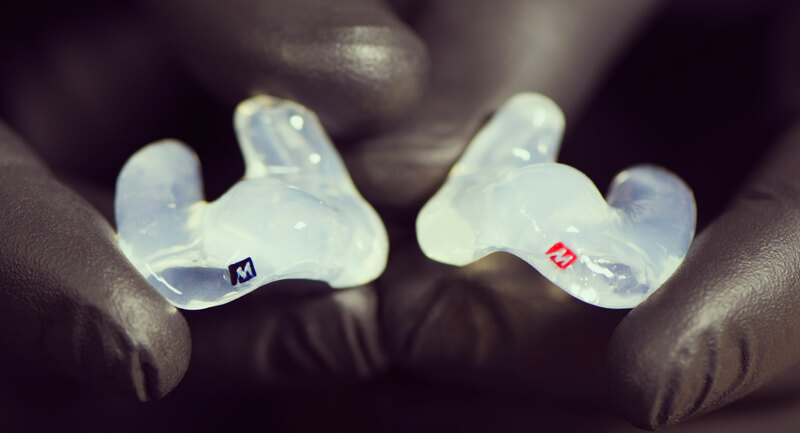 Currently custom eartips are available only for the MEE audio M6 PRO (1st and 2nd generation) and M7 PRO models. If you live in Los Angeles or the surrounding area, you may visit our City of Industry office during regular business hours and we will scan your ears on the spot. This process is non-invasive and takes 20-30 minutes. 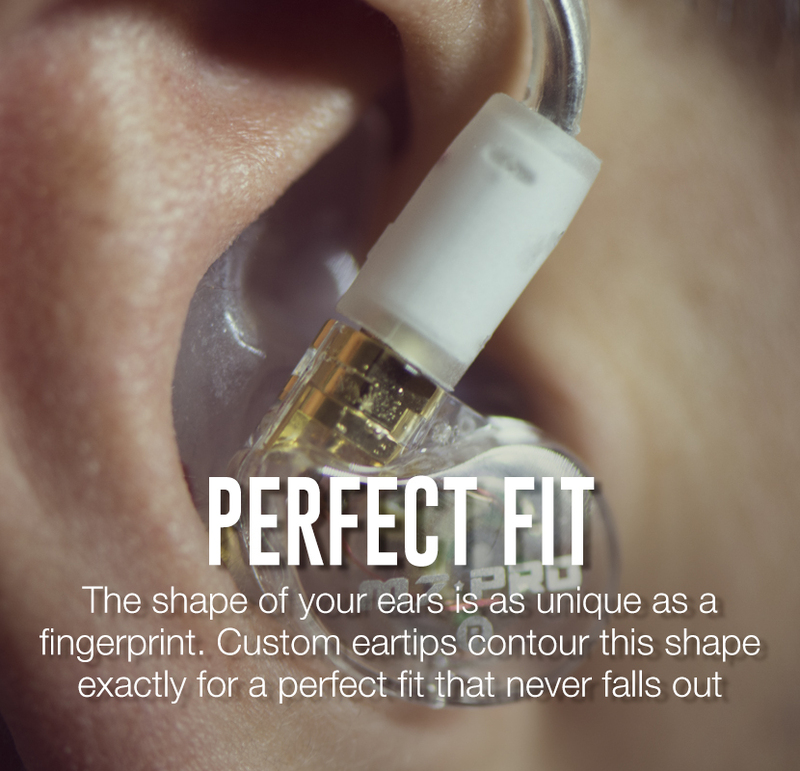 After purchasing your custom eartips you will receive an email with instructions for creating an appointment. We provide free ear scans for current and future customers at several musician and audiophile tradeshows and events throughout the year. If you plan to attend one of these, stop by our booth to get your ears scanned. Click here to view our tradeshow and event schedule. Audiologists are able to make a cast of your ears for a small fee, which you can then send in to our office for scanning. Click here to download our audiologist instruction sheet. Be sure to shop around as the cost of ear impressions can vary widely. 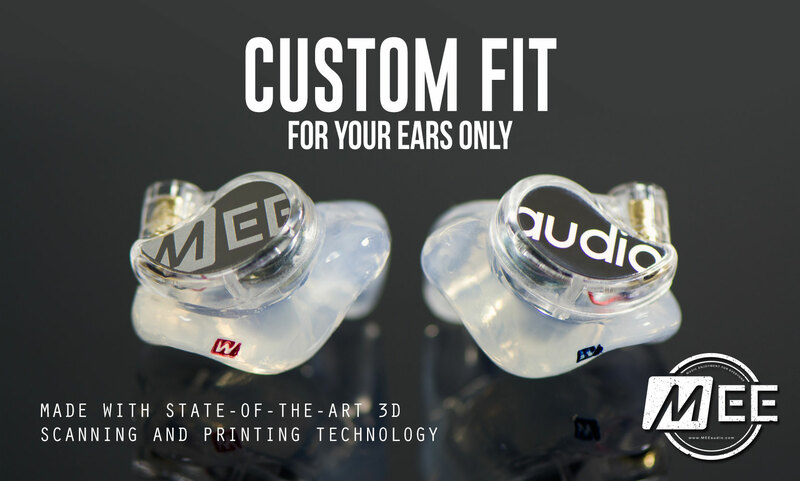 If you already have a set of MEE audio custom eartips or have gotten scanned by us at a previous event, we already have your ear scans on file and you may choose this option. Depending on the option you chose in step 2, you may get additional instructions via email after placing your order. MEE audio will modify or re-make any custom eartips returned due to poor fit within 45 days of purchase. Please contact orders@meeaudio.com if you require a refit and we will help you through the process. 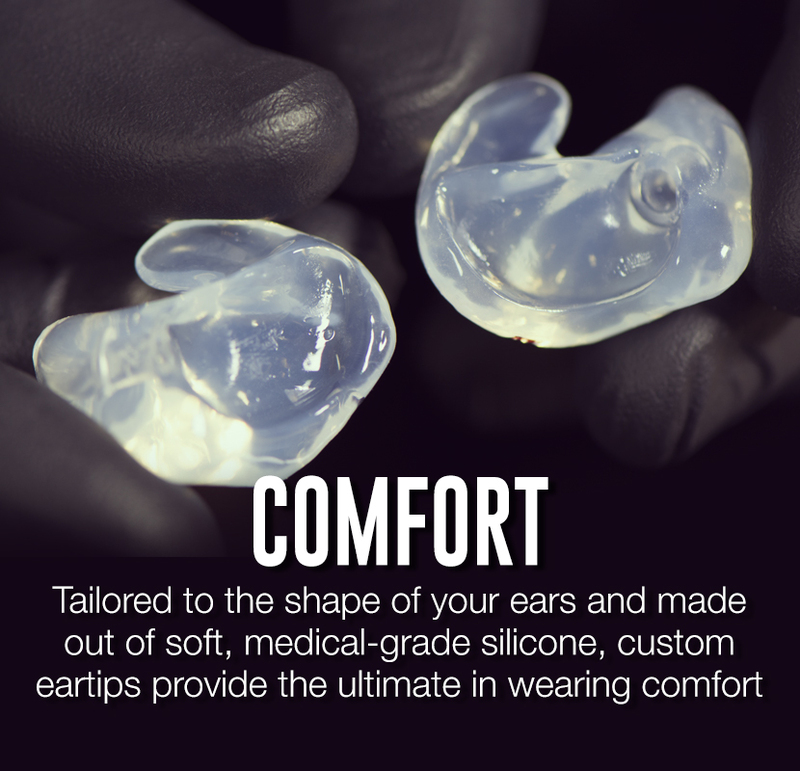 Each pair of MEE audio custom eartips is made to order and uniquely tailored to the shape of your ears. Because of this, MEE audio does not allow returns of any custom-fit/made-to-order products other than for refits (see the Fit Guarantee section above for more info). Our standard 1-year warranty applies to materials and workmanship. Warranty does not cover regular wear and tear or accidental damage, loss of one or both tips, blockage due to earwax or debris, or level of noise isolation. Attempting to modify your custom eartips in any way will void this warranty. Q: Can you make me custom eartips for another earphone? 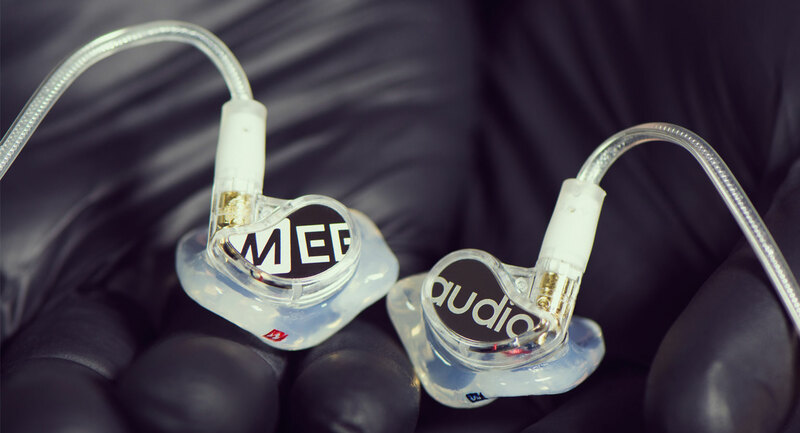 A: For now MEE custom eartips are available only for MEE audio PRO models – the M6 PRO (both 1st and 2nd generation) and the M7 PRO. Custom fitting for additional MEE audio models may be available in the future. Q: Are there other colors available for the custom eartips? A: Yes, select colors are available for a small upcharge. Currently the color options are red translucent (pair), blue translucent (pair), red+blue translucent (right eartip in red, left in blue), and onyx black (pair). The colored tips are made of the same material and have identical flexibility, performance, and noise isolation to the standard clear-color eartips. Q: I placed my order. What’s next? A: If we already have your impressions on file, no further action is required on your part – we’ll start making your custom tips right away. If you need to get us your impressions, you’ll receive a follow-up email after placing your order containing further instructions. Q: I selected the option to get my ears scanned at your office. How do I make my appointment? A: After placing your order, you will receive an email with a calendar link where you can create your ear scan appointment. A: There is an additional 3-4 week processing time for custom-fit products, plus the shipping time for whichever shipping method you select at checkout. Processing time may vary depending on order volume. Q: How are the custom eartips shipped? A: Domestic orders: if “free shipping” is selected at checkout, your order will be shipped as a USPS 1st class package, which typically delivers in 3-7 business days. Faster shipping methods are available at checkout. International orders: if USPS First Class International is selected at checkout, there is no set delivery window but packages are typically delivered within approximately 20 business days. Please note that the number provided is a Customs ID number and not a tracking number, and should not be relied on for package status updates. Once USPS hands off the package to your local carrier, the Customs ID may reveal the Customs status of the package through your local carrier, but it is not guaranteed. Faster shipping methods are available at checkout. Q: Where do I go for ear impressions? A: Locate an audiology office near you and contact the audiologist first to find out the fees and set an appointment. We recommend shopping around as ear impression costs can vary significantly. Q: How much should I expect to pay for a pair of ear impressions? A; The cost of ear impressions varies depending on the audiologist from whom you purchase them. We recommend shopping around by calling multiple audiologists in your area. Q: Do I need to bring anything to my audiologist visit? A: Download and bring our audiologist instruction sheet, which will tell your audiologist what we’re looking for in a set of ear impressions. Q: How can I make sure the ear impressions my audiologist took are good? Q: How do I install my new custom eartips? A: Click the Fit Guide tab above for instructions and to view our support video. 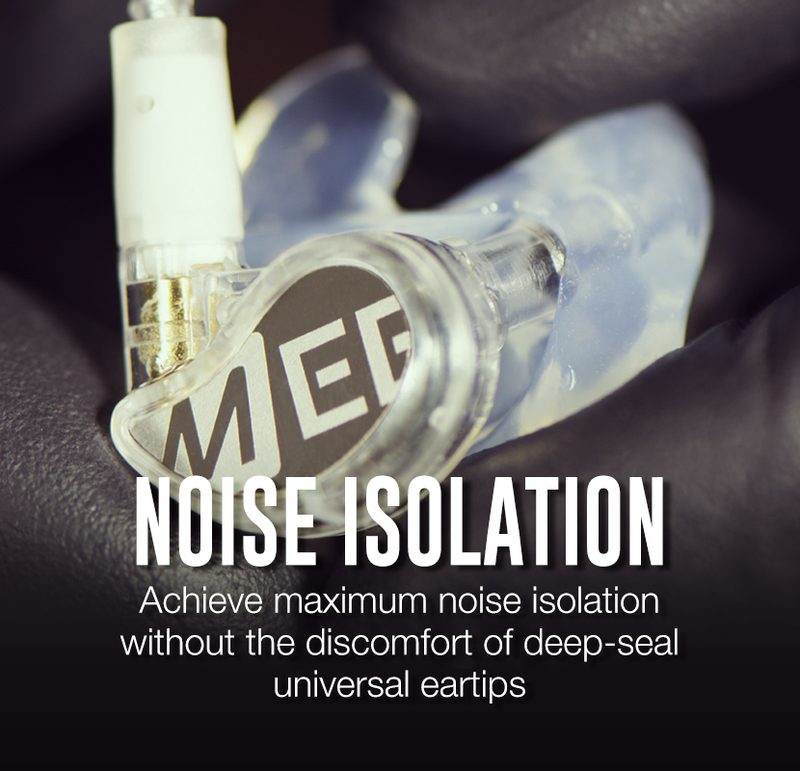 Q: Are the custom eartips removable once installed? Q: How do I put on my earphones once outfitted with custom eartips? Q: How do I care for my custom eartips? A: To maintain your custom eartips in the best cosmetic condition, we recommend wiping them down with a moist cloth after use and using the included earwax cleaning tool periodically to scoop any residue out of the nozzles of your custom eartips. Do not leave your custom eartips in direct sunlight or expose them to excess heat as this may deform the silicone material. Q: What if I lose one of my eartips or want a set of custom tips for a different earphone? A: MEE audio will keep your impressions on file and can remake one or both of your eartips, or make a new set for a different earphone, using the same impressions. The cost to remake one eartip is ½ of the cost of a pair. Contact orders@MEEaudio.com if you need to order a replacement eartip. Your custom silicone tips feature color-coded markings: blue for left and red for right. Push each tip onto its corresponding earpiece, rotating to make sure the earpieces fit within each tip’s earphone-shaped indent. If these are your first custom-fit eartips, it will likely take you some time to get used to putting them in your ears. To help with this, we include a bottle of oto-gel with the tips. This gel-like lubricant will help get your tips positioned in your ears more easily. Apply a small amount of gel around the end of your tip, being careful not to get any inside the sound channel. Straighten the earphone wires and position the tip in your ear with the sound channel (the bore that leads to the earphones) and the fin both pointing downward. Gently insert the sound-hole end of the tip into your canal while twisting up and backwards in circular motion. Continue twisting until the sound tube fits inside your ear canal and the fin locks in place at the top of your ear. Holding the earpiece in place, move the wire behind your ear. While pulling the cable gently with one hand, squeeze the memory wire behind your ear with the other hand until the fit is tight and secure. Wiggle and twist the earpiece back and forth slightly to make sure the tip is in its most comfortable position. Using your index finger, scoop behind the tip’s fin (located at the top part of your ear), while pinching the earphone with your thumb. Gently pull the tip and earphone out while twisting down and forward in a circular motion (the reverse of how you put them in). Removing the tip will also take some time getting used to. In the beginning, it might be difficult to get a good grip on both the earphone and silicone tip, which could result in the earphone coming out without the tip. If the tip remains in your ear after removing the earphone, use your index finger to scoop behind the top part of the ear tip and pop out the fin. Then, gently pull the tip out while twisting in a down and forward motion.